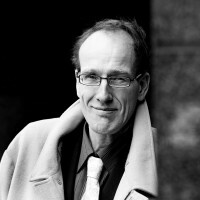 One of the speakers at the International Conference for Philosophy and Psychiatry is Georg Northoff. Who will be attending? A very small group of self defined 'experts' 'philosophers' and those who are able to obtain funding especially from institutions. How are these arrangements decided? So the cost for 'professionals' from high income countries is 660-760 dollars; for undergraduates 320-420 dollars. Is this a good way to use tax payers money considering that speakers and others''expenses'will be paid In this instance for a conference in Hong Kong. We live in a digital age - these jollies often for the same people who circlate around conferences national and international. A bit of philosophising about the ethics of this would be interesting. What is the definition of a philosopher? “most participants in the debate between materialism and dualism, on both sides, simply take for granted a conception of matter inherited from Galileo, Descartes, Newton, and the other early moderns. On that conception, matter is essentially devoid both of teleology and of the qualitative features that common sense attributes to it. That is to say, there is, on this view of matter, nothing inherent to it that corresponds to the “directedness” toward an end (or “finality,” to use the Scholastic jargon) that the Aristotelian attributes to all natural substances. Nor are secondary qualities like color, sound, odor, etc. as common sense understands them (that is to say, as we “feel” them in conscious awareness) really out there in matter itself. What is there, on this view, is only color as redefined for purposes of physics (in terms of the surface reflectance properties of objects), sound as redefined (in terms of compression waves), and so forth. Matter on this conception is exhaustively describable in terms of the quantifiable categories to which physics confines itself.